Tomorrow, Saturday November 19th, we will be hosting a charity event in support of farm animals! Join us at our Vaughan location from 11am to 12pm for an all levels practice with Karin Charutz. The money that is raised will go to Mercy For Animals – an organization that is fighting to help animals suffering and abuse. There is a recommended cash donation of $20 but any amount is appreciated. Every dollar raised from this class can help free egg-laying hens from battery cages, protect dairy cows from having their tails cut off, and save pigs from the torture of gestation crates through the efforts of Mercy for Animals. The organization has dedicated itself to mitigate suffering of animals on modern farms that comes as a result of lax animal cruelty laws. The laws that protect our beloved pets often exclude farm animals, and as a result, blatant abuse is now standard practice. Mercy For Animals has a multifaceted approach – they employ undercover investigators to expose poor practices, their legal advocacy team works to enforce the law and lobby for better protection, their corporate outreach team campaigns to raise awareness and promote animal welfare policies among large corporations to make a big impact, and they aim to educate and inspire people to make vegan food choices. Yoga encourages mindfulness – something all of us strive for. When we pick up food at the grocery store, we can do so without a second thought. Bringing awareness to these choices can certainly help you to re-analyze your assumptions, and ask yourself if you really need meat in your meal or if that’s just society talking. It’s a simple choice, but reducing or eliminating your consumption of meat and other animal products has an impact that really reverberates throughout the food production system. We often talk about mindful eating a consumption capacity – asking ourselves if we are full instead of overeating, and being aware of healthy choices. This class will prompt you to think about food choices in a production capacity as well.While most of us don’t commit acts of cruelty ourselves, we are able to make an impact with our choices. Having an awareness of the issues behind the food we consume can help us to make educated decisions that are in line with our values. We hope that you choose to support Mercy for Animals with us today and work towards a better future for farm animals! Karin is a teacher training faculty member and a senior instructor at Yoga Tree. She has lead numerous spiritual retreats and various workshops, helping students stay connected to their inner self. 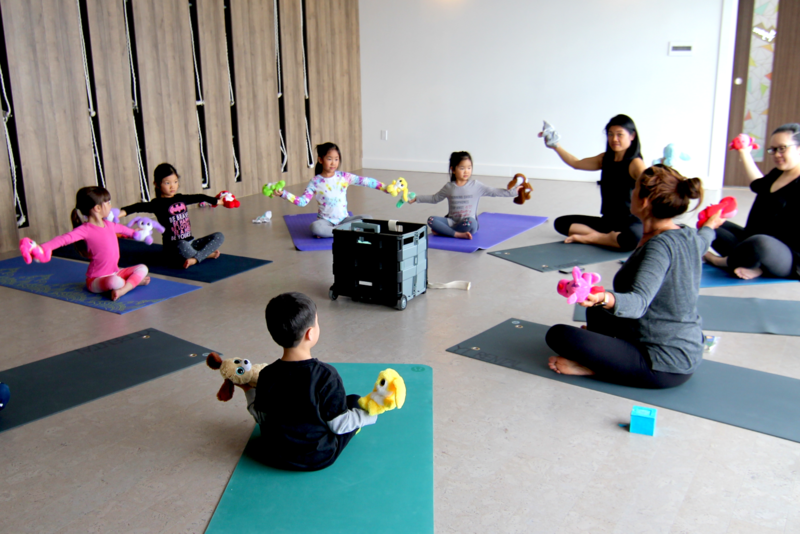 Karin’s classes focus on breathing, developing body and mind awareness, as well as core strength, muscle tone, improved posture, balance and inner confidence.